I feel as though I am partly responsible for the death of actress Patricia Neal, who passed away this past Sunday. 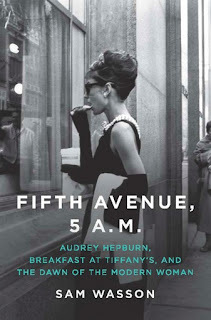 Last Wednesday I was finishing up Sam Wasson's indulgent little "Fifth Avenue 5 A.M.: Audrey Hepburn, Breakfast At Tiffany's, and the Dawn of the Modern Woman" and admired the author's anecdotes about Neal, who apparently had an awful time with co-star George Peppard. Then I actually said aloud -- in fact, posted on my Facebook page -- "Wow, that Patricia Neal, what a lady. I can't believe she's still alive!" Next time, I'm keeping it to myself. However I'm still recommending this book anyway, "Fifth Avenue 5 A.M.," a morsel of a film bio that is the very definition of a good late-summer beach read, because you can finish it in 2-3 hour (preferably with a summer-y beverage) and it's as light as a breeze. 'Breakfast At Tiffany's' is one of the greatest films ever shot in New York City and features a heroine, Holly Golightly, that would have the same cultural effect to mid-'60s tastes that Carrie Bradshaw would have to those decades later. However, very little of Wasson's book truly takes place here in the Big Apply, instead flitting about Europe and Hollywood, tracing the evolution both of the Truman Capote story and Audrey Hepburn's career. Capote, of course, was quite unhappy with the adaptation, yet the story as Wasson tells it seems to imply the film, in its finished form, was inevitable. 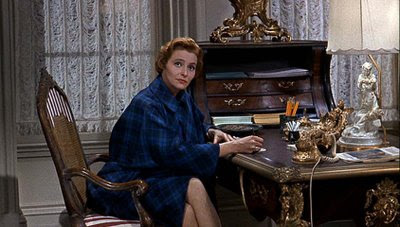 The story of the film's inception and production are told through snippets concerning the film's main creators -- Audrey's of course, but also Henry Mancini (composer of 'Moon River'), costumer Edith Head, and the film's director Blake Edwards. Capote's inspirations are also highlighted including the tragic Babe Paley. Wasson's retelling of the fateful morning of filming at the corner of Fifth Avenue and 57th Street in front of Tiffany's, on October 2, 1960, has the feeling of mythology being retold. And yes, I guess that's a bit much at times -- he tends to overwrite a bit -- but the wit and subject matter keep it light and frothy. It's not completely useless as a New York history tool, thanks to a map up front of key locations (mostly in the Upper East Side and Midtown East) to both the film and its principals that serves as a makeshift self-guided walking tour. One of the cutest details recalls the 'cat call' for aspiring feline actors auditioning for the role of Cat, a sentence all too absurd to retype. You also get to relive some of the most famous legends of film, like the near electrocution within Tiffany's and the real story about that particular, famous black dress (there were two, one for moving, one for standing). As for Patricia, her appearances are brief but notable. On Peppard: "I always thought he was a piss poor actor."